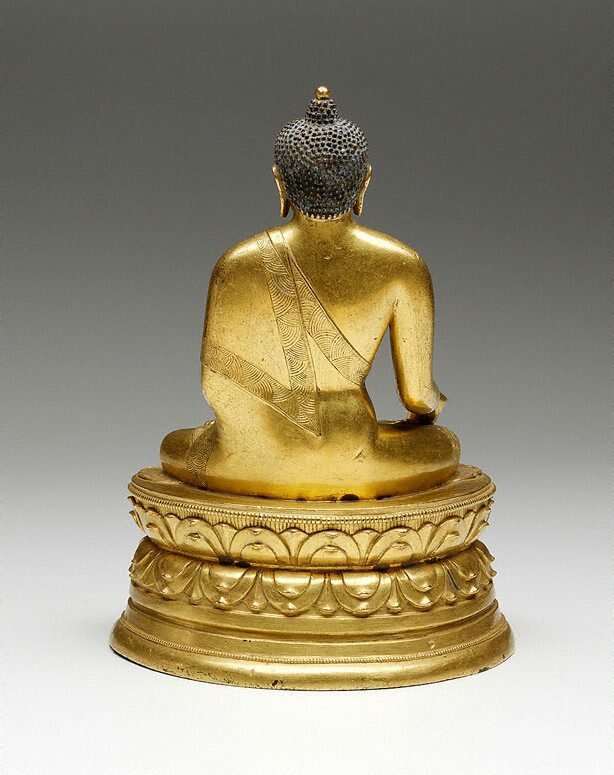 The Buddha sits on a double lotus pedestal. 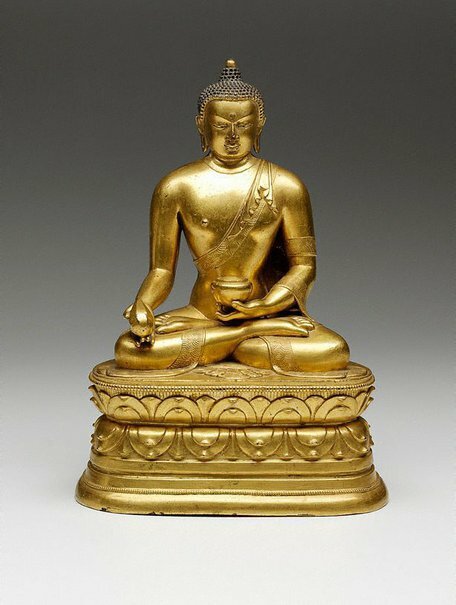 In his left hand he holds a medicine bowl brimming with the elixir of long life. Extended in the gesture of charity (varada mudra), his right hand contains a myrobalan fruit, a medicinal plant found in India and other tropical countries. The offering of the myrobalan symbolises his gift of protection from illness. Manla is said to dispense spiritual medicine when properly worshipped and devotees believe that merely touching his image has curative powers. Art Gallery of New South Wales annual report 2006 , Sydney, 2006, 30 (colour illus. ).